response from property - Jan 02, 2014 Thank You for your review. response from property - Jan 02, 2014 Thank you for your review. Our residents are the best!!! The BEST place to live with outstanding office staff and maintenance.submitted by Deborah J. - Feb 28, 2013 |Recommended: YesIf they were looking for a place to settle down and call home Chappell Oaks is the place to be, hands down. response from property - Jan 02, 2014 Thank you for your review. Many of our residents have made this their home. We came to live here because of the beautiful outside apperance it just said here is home..submitted by Eileen J. - Feb 02, 2013 |Recommended: YesI often tell my friends about Chappell and I say next to home that is what it is like living,LOVE IT !!!!!!!!! response from property - Jan 02, 2014 Thank you for such a wonderful compliment. Amazingsubmitted by Eileen J. 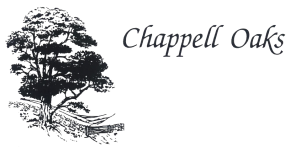 - Jan 26, 2013 |Recommended: YesIf you want to live in a place like home move to Chappell Oaks Apts. we have been living here in four years and the staff treat you just like family.you will love ir. response from property - Jan 02, 2014 Thank-you for your review, your are family!!! Best place to live.submitted by Deborah J. - Dec 20, 2012 |Recommended: YesThe serinity of the setting, the exceptional office and maintenance staff, and the diligence in keeping the grounds in exceptional order. response from property - Jan 02, 2014 Thank you for your review. We love our property. response from property - Jan 02, 2014 Thank you for your review. We love it too!!! We are very satisfied.submitted by Leroy K. - Nov 05, 2012 |Recommended: YesIt is like living in a park surrounded by a neighborhood. response from property - Jan 02, 2014 Thank you for your review, We are so proud of our beautiful property. response from property - Jan 02, 2014 Thanks so much for your review, we love our residents.